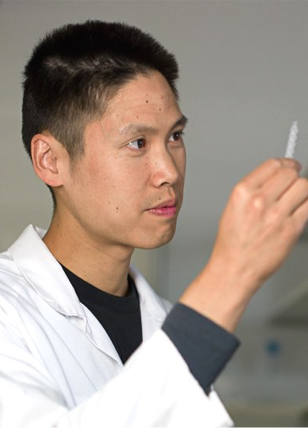 Jonathan Tan is a Research Fellow at the Faculty of Health Sciences and Medicine, Bond University. Dr. Tan received his PhD at the Australian National University under Professor Helen O'Neill, delineating hematopoiesis of antigen-presenting cells in spleen. He completed postdoctoral training at Kyoto University, in a group led by Professor Takeshi Watanabe specialising in synthesis of artificial lymph nodes. Here, Dr. Tan developed an interest in spleen tissue regeneration, and his research now seeks to uncover the cellular and molecular mechanisms which drive tissue neogenesis. Work from his lab demonstrates that stromal cells are critical components of spleen grafts, and ongoing studies now pinpoint the specific stromal cell subsets responsible for tissue regeneration. Dr. Tan has authored 20 publications, and his work has been recognised by award of Fellowships from the Japan Society for Promotion of Science (JSPS) and the National Health and Medical Research Council (NHMRC). He is currently Chief Investigator of an NHMRC Project Grant (2015-2017).